Central Florida is home to many beautiful golf communities. Take a look at homes in the golf communities in Orlando. Whether you’re new to buying or moving up, I have some helpful resources to assist you. If you’re selling your home here is some helpful tips to help you with the process. Take a look at the beautiful Orlando homes currently listed with Carolyn. Growing up in Central Florida, this is my home. Living in Lake Mary for over 20 years, this is where I have made a great life. Licensed in real estate since 1982, I have the knowledge and experience of the market place. My goal is a smooth transaction because my business counts on your personal referrals. I surround myself with top people in their field. From my admins, marketing director, mortgage company, inspectors to the title company. Keller Williams Heritage Realty holds at the top of sales for Seminole County month after month and year after year. Let me help you achieve your goals and dreams. 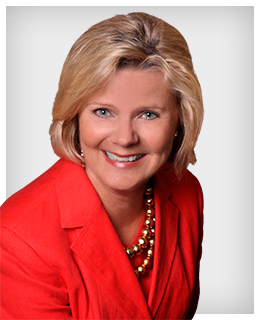 I'm a certified luxury home marketing specialist with experience in assisting people in Central Florida Homes. Let me help you with your home buying and selling process.